Find the new Chevrolet Silverado 1500s at our Madison dealership. This bestselling pickup is well known for its strength, reliability and advanced technology. It has a quiet cabin, with high-end materials, which lends an upscale feel. The new Chevrolet Silverado 1500, available in Madison, has ample storage space and a state-of-the-art infotainment system that features a responsive touchscreen and intuitive interface. At Bergstrom Chevrolet of Madison, we also offer some great offers on its accessories. The new Chevrolet Silverado 1500, available in Madison, also offers incredible hauling and trailering capacity. 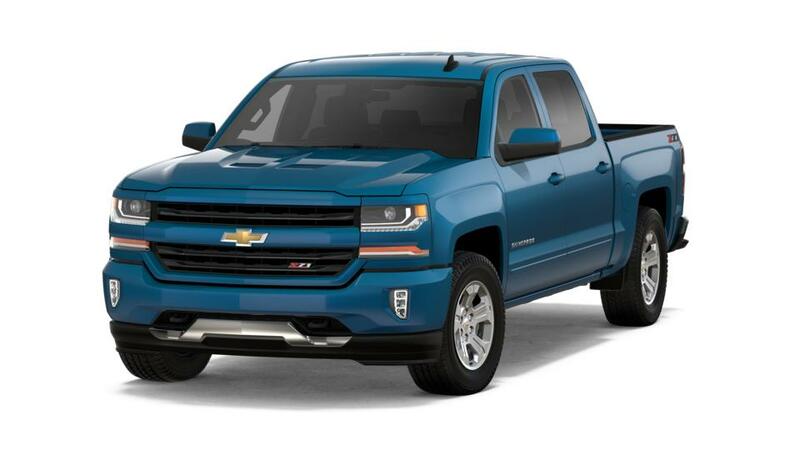 Come to Bergstrom Chevrolet of Madison and check out our inventory of this pickup truck today! Bergstrom Chevrolet of Madison offers a great selection of new 2018 Chevrolet Silverado 1500 vehicles for sale in Madison, WI. Our new vehicle inventory is one of the largest in the state of Wisconsin. If you're shopping from Sun Prairie or Janesville we encourage you to shop our entire inventory of new Chevrolet vehicles and visit us for a test drive when you've found a model that suits you. Sort by color, trim, features, price and more by choosing from the filters above to find the perfect vehicle that has everything you need. You can also apply for financing directly from our website, and don't hesitate to call us at (877) 314-9467 or contact us online with any questions you have.